Today in Reception we have learnt about the life cycle of a frog and what a better way to learn about it than to look at a real frog! 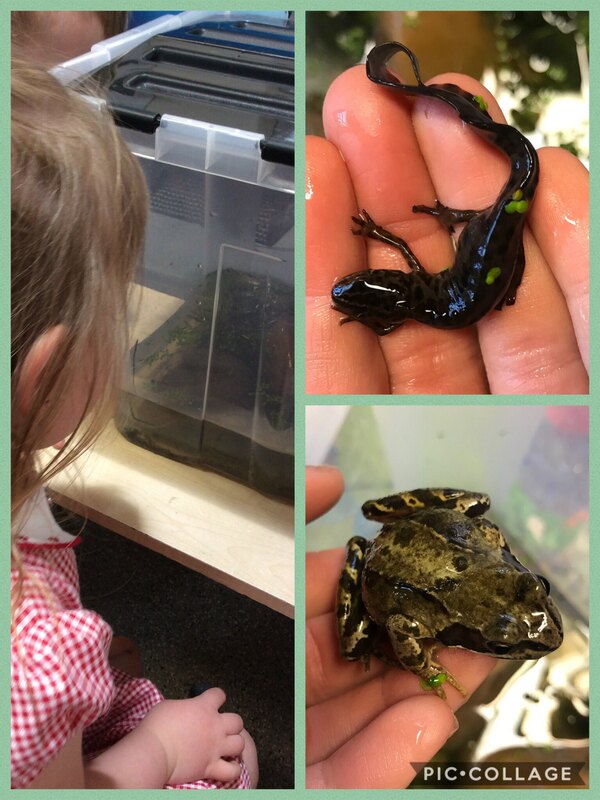 Thank you to Mrs Moss for bringing in a newt and a frog from her pond, although it did give Miss Hodgson a scare when it jumped out of her hand and started hopping across the classroom! This entry was posted in EYFS and tagged Science on May 17, 2018 by Sandford Hill. What incredible creatures- it’s amazing how much they change during their life times.